Kanye West recently divorced himself from Nike in favour of a deal with Adidas, meaning the wildly popular Air Yeezy sneaker line will be no more. 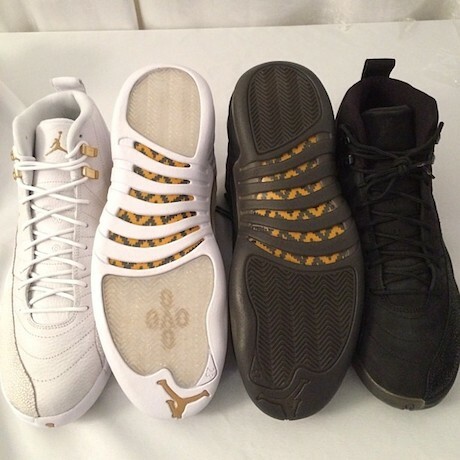 That move, however, has worked out in Drake's favour, as he's now partnered with Nike's Air Jordan division. At his show in Portland last night (December 3), he revealed the collaboration after visiting Nike's head office in the city. "Today also happens to be one of the best days of my life.... so today, I came to Portland and officially became inducted into the Team Jordan family." Drake went on to post the above photo, among a few others, to his Instagram account, sampling the new line. If his caption is to be believed, the shoes are called OVO Stingrays. No word yet on when these will be released, but sneaker collectors would be wise to start a savings account.